Land area: 70.848 sq. kms. 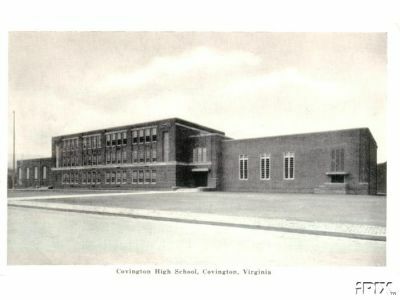 With an elevation of 1245 ft, Covington, Virginia is the City and County seat of Alleghany County, West Central Virginia, 35 miles North of Roanoke in the Alleghenies, 141 miles West by North of Richmond and 55 miles North West by West of Lynchburg, in Jackson River Valley, West of Lexington and East of Beckley on U.S. Route 60. The site was first settled in 1746 and a later settlement, Merry's Store, grew around Fort Young. 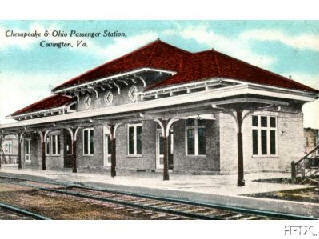 Laid out in 1819 and named after Peter Covington, the town's oldest inhabitant, it was incorporated as a town in 1873 and as a city in 1952. Covington continues to be politically independent and governed by a manager and council. By 1970 the population stood at 10,060. The city serves as the western approach to the Shenandoah Valley, hemmed in by Warm Springs, Sweet Springs and Lick Mountains. Other points of interest include The Alleghany Central Scenic Railway and Fort Young, a copy of the original built in 1754, taken from Col. George Washington's original plans. The Roaring Run Waterfall and Spa at Sweet Chalybeate, which is open to public in summer for swimming, are both worth a visit as is the Humpback Bridge, West on US 60. It is an unusual covered bridge, built by pioneers in 1835 and made of hand-hewn oak held together by locust pins and is the only one of its type in the U.S. Falling Spring, a 200 ft cascading waterfall into a gorge was referred to by Thomas Jefferson for its scenic beauty in his Notes on Virginia, A plaque nearby refers to Indian War figure, Mad Ann Bailey, a frontier woman adept at shooting, riding & swearing. A visitor would also enjoy Moomaw Lake, 12 miles long with 100 mile of coastline of towering mountains and The James River Ranger District office of the George Washington National Forest. Best Hotels/Motels are The Holiday Inn, Pinehurst, Town House. Main local trades include Paper, rayon textiles, furniture, flour, coal, iron & limestone, film, chemicals and production of bleached board. The Archives Dept, Room E400 State of West Virginia Library, Charleston 25305. West Virginia Collection, University of West Virginia, Morganstown 26506. Greater Alleghany Highlands Chamber of Commerce, 241 West Main St, Covington 24426. 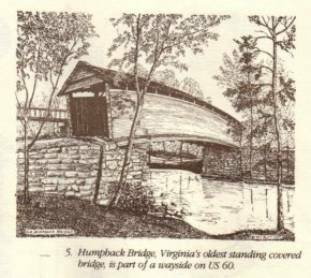 Extract from "Covered Bridges in Virginia"
Since 1954, it has been maintained as part of a five-acre highway wayside three miles west of Covington on US 60. The Business and Professional Women's Club of Covington and the Covington Chamber of Commerce were active in securing donations to help restore the old structure and to preserve it as part of Alleghany County's history Today it is the nation's only surviving curved-span covered bridge. The bridge can be reached from Interstate 64 by taking ramps to US 60 at the Callaghan interchange, then traveling east on US 60 about a half-mile, or by taking US 60 west from Covington." The Covington Mill is one of the most technologically advanced bleached paperboard manufacturing facilities in the world. The mill stretches 1.5 miles along the Jackson River and employs about 1,500 people. It produces more than 2,500 tons of bleached paper and paperboard each day and exports its products to more than 60 countries. This facility manufactures paperboard used for premium folding cartons, for aseptic and other liquid packaging and for printing applications that include books, greeting cards and sports cards. 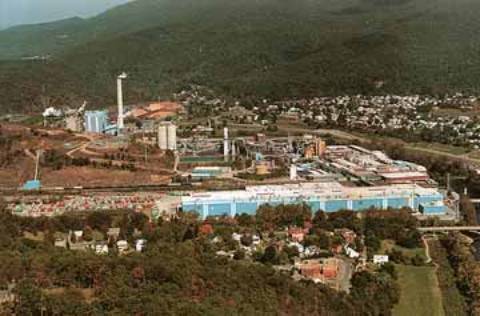 With 185 employees, the Carbon Department manufactures activated carbon for use in environmental control applications and industrial purification processes. The facility supplies a major share of the world' requirements for carbon used to clean automotive emissions. Activated carbon is also used to purify foods, chemicals and pharmaceuticals and as catalysts for other industrial uses. One of Westvaco's three research centers is located in Covington. The work of this laboratory, staffed by nearly 50 scientists and support personal, covers research and development for papermaking, converting and new products. The Low Moor converting and services facility processes approximately 25% of the Covington Mill's output of bleached paperboard through one or more of its three distinct and separate operations: extrusion coating, sheeting, and custom rewinding. Approximately 180 employees work at this advanced converting operation, located eight miles east of the Covington Mill. In this view of the Covington Mill, the blue buildings highlight Westvaco's $1 billion investment in Covington since 1983.